How does our new feature compare on mobile vs. desktop? 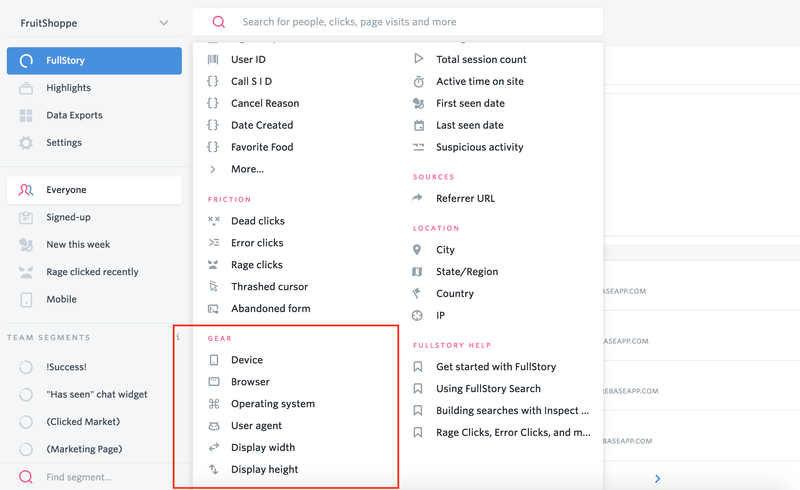 Instead of waiting on biased user testing or trusting that your internal devices and simulations are accounting for enough variability, use FullStory to view actual experiences in the wild. Take a look at sessions from many different Browsers, Device Types, Operating Systems, and Display Width or Height. Add an Event Scope filter to find users who clicked or changed a specific selector or visited a specific page. Does changing display size affect the page layout? Does this feature work on iOS and Android? Why are Internet Explorer users having trouble on this page? Are iOS users encountering a console error?